Did you know that there is a farm IN Somerville? In the most densely populated city in New England, we are lucky enough to be home to an urban farming oasis! 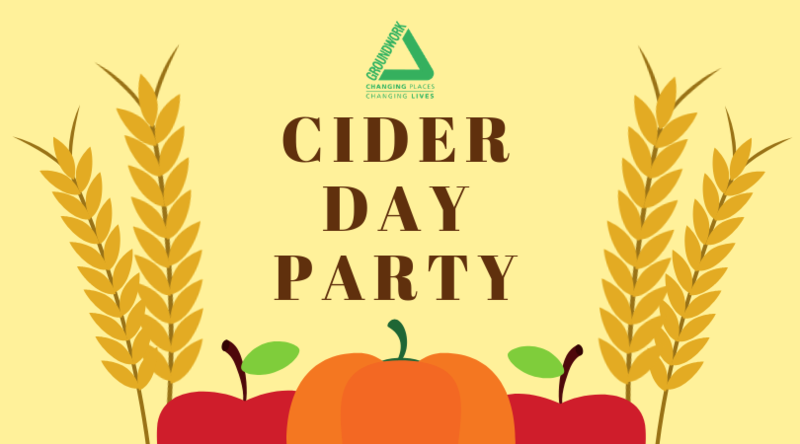 Come experience this hidden gem for yourself in all of its fall glory at Groundwork Somerville’s annual Cider Day Party–our one and only, highly anticipated yearly event at South Street Farm! Fall means apple harvesting, crisp air, and leaves changing! Join us for FREE fall festivities at your urban farm on South Street. We are located in the Boynton Yards neighborhood, just between Union Square and Inman Square. Our Green Team, volunteers, and staff have been hard at work all season to cultivate the South Street land and grow produce to sell back to the community. We’re excited to show off the farm, press apples, and celebrate the end of a successful growing season with community members of all ages. Whether you’ve been to the farm many times or have no idea where it is, we hope to see you there! – Food – first come first served!